May is National Allergy Awareness Month, and I’ll bet it’s no coincidence that it comes in the spring. Allergies are a result of an immune system gone haywire: The immune system mistakes a typically harmless substance for a harmful invader like a mold spore or dust mite. Your immune system then makes antibodies, which launches the release of histamines and other chemicals that cause allergic reactions such as sneezing, itchy and watering eyes, runny nose and other miserable reactions. Some common seasonal allergy propagators are pet dander, insect stings, mold and pollen. Asthma is a chronic respiratory disease that causes airway obstruction. Allergies, smoke and air pollution can trigger asthma and cause the airways to become inflamed. As the airway swells, less air flows to the lungs while mucus production increases. This causes symptoms like wheezing, coughing, chest tightness and trouble breathing. Springtime is when trees and plants spread their seeds—at least the pollen that becomes seeds. That pollen enters your system when you breathe fresh air and causes all the symptoms that make you miserable. Are there ways to fight back? Bath – Spending time outside, even just a few moments, can trap allergens in your hair and on your skin. Try taking a bath before bed to rinse away the day’s pollen from your body and get a better night’s sleep. Masks – If you must mow or spend time gardening outside (and thus stirring up the allergens waiting to wreak havoc on your immune system) consider wearing a mask. They’re relatively inexpensive and can be purchased at most home improvement stores. Windows – No matter how tempted you are by the lovely spring breeze, refrain from opening your windows if seasonal allergies plague you. Allowing the outside air to blow through your home – particularly fabric on couches, chairs, rugs and bedding – is coating your environment in a layer of allergens. Standard seasonal allergy treatments can often include steroids, antihistamines, nasal sprays, prescription medications or allergy shots. These remedies can also cause dry nasal cavities and drowsiness. But improving your immune system through good nutrition is an added defense. The anti-inflammatory properties of omega-3s have been shown to benefit the immune system and have a positive effect on allergies. Omega-3s can be found in GlucAffect®, ReversAge®, 24K™, and Reliv Now® for Kids. 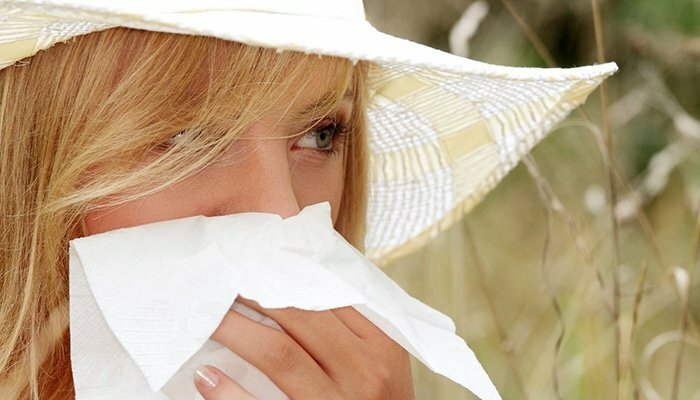 Vitamins A, C, E and zinc, enzymes, garlic and cayenne also have been shown to help strengthen the immune system to reduce symptoms caused by seasonal allergies. Reliv Now®, Reliv Classic® and FibRestore® are good sources of all of these nutrients, plus other beneficial herbs and enzymes. These nutritional products also contain bromelain, an enzyme with anti-inflammatory properties shown to help manage allergy responses. Probiotics offer another option shown to be effective in decreasing seasonal allergy development. Probiotics, also called “friendly bacteria,” are live microorganisms similar to beneficial microorganisms found in the human gut. These include Lactobacillus acidophilus and Bifidobacterium. Probiotics stimulate the immune system to help your body protect itself. Good sources of probiotics include SoySentials®, which contains Lactobacillus acidophilus, and ReversAge, which includes both Bifidobacterium and Lactobacillus acidophilus.